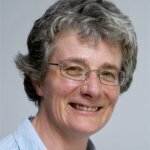 In this blog, Cochrane Co-ordinating Editor and review author Helen Handoll talks about new evidence that exercise prevents falls in older people and what it might mean for her mother and others like her. With my mother, the opportunities for falling abound. True, she has given up climbing ladders. Otherwise, an active life with a determination to keep independent and living in her own home and lovely garden. Every time she falls, my heart sinks. Each time a different place – she gets about – and a different story but the rebound is getting harder and less certain. Even getting up again is problematic; that mobile phone my brother insisted on buying her has come to the rescue several times. There have been some spectacular bruises but also more serious injuries, such as a vertebral fracture that was very painful and restrictive for several weeks. Only part of my mother’s garden. My mother is among the millions of older people, more women than men, who fall each year worldwide. The consequences of falls are a major health issue. A fact sheet produced by WHO in 2018 estimates that over 37 million falls in adults and children are severe enough to require medical attention each year. Falls in older people can be fatal too but more often they are life changing, resulting in greater dependency, restriction by self or others in activities through fear of further falls, and greater frailty and disability that can prompt a move to a nursing home. Thus, fall prevention in older people is a public health priority and it is the focus of considerable research activity. A new Cochrane review (Sherrington 2018) looking at the effects of ‘exercise on preventing falls in older people living in the community’ is now available. This provides high certainty evidence that well-designed exercise programmes reduce by nearly a quarter the overall number of falls per year (rate of falls) and, by nearly one sixth, the number of older people who experience one or more falls (number of fallers). 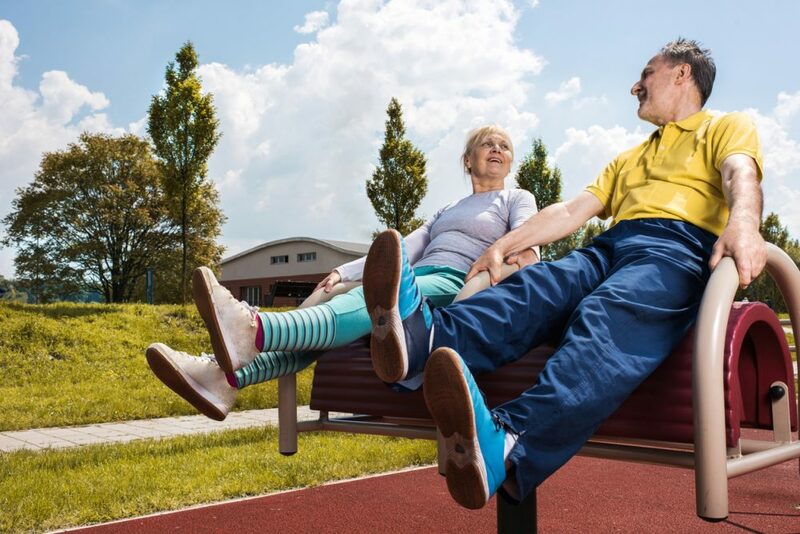 That exercise reduces falls is, however, something we knew already from a previous Cochrane review that summarised the evidence for all interventions, including exercise, for the same population (Gillespie 2012). What is new are the insights gained through the rigorous categorisation of the exercise programmes tested in the 108 included studies; 81 of which compared exercise with a control intervention (no intervention or one not thought to reduce falls). Using this, the authors have been able to conclude that effective exercise programmes are those that mainly comprise balance and functional training; or are combinations of exercise categories, typically balance and functional training with strength training. 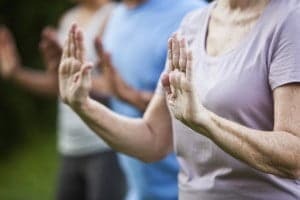 Tai Chi also may prevent falls. The evidence, which was restricted to only a few studies, was inconclusive for exercise programmes comprised primarily of strength training, dance or walking. 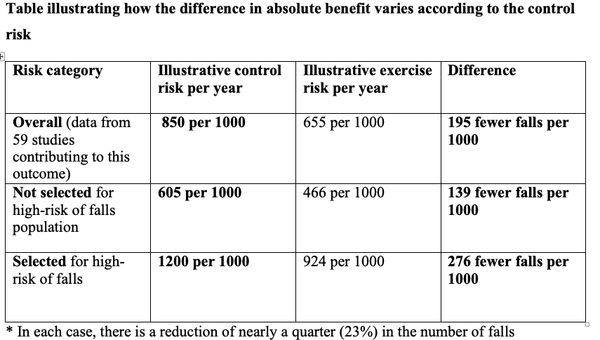 No trials compared programmes of mainly flexibility or endurance exercises versus control. Effective exercise programmes comprise balance and functional training, or combine exercise categories. Tai Chi also may prevent falls. What else does the evidence tell us? There was far less evidence available to inform on the effects of exercise on other non-fall outcomes, such as numbers of people experiencing falls needing medical attention. These outcomes were generally under-reported. Notably though, the limited evidence on adverse outcomes of exercise was reassuring as 14 of the 27 studies reporting this outcome had no adverse events and those reported in the other studies were usually non-serious events of a musculoskeletal nature; with only two serious events (pelvic stress fracture and hernia) being reported in the same trial. Another key message from this review is the general applicability of the findings to older people living in the community. The few exceptions are people recently discharged from hospital undergoing rehabilitation (very few trials for these) and people with specific conditions such as stroke or Parkinson’s disease (reviewed elsewhere). Also of note is that most of the evidence is from trials conducted in high or middle income countries. Otherwise, the review found exercise reduced falls whether or not a person has been identified at high risk of falling. Those at a higher risk are likely to draw greater benefit in absolute terms. This is illustrated in the following table, which draws on data presented in the review. This demonstrates that the best guess is that exercise would result in 139 fewer falls per 1000 older people over one year in the general population and twice as many in older people at high risk of falls. What type, mode of delivery or dose of exercise? As discussed above, the review found good evidence of effectiveness of three types of exercise. It also found that exercise programmes appeared effective regardless of whether they were delivered individually or in groups or by health professionals or trained non-health professionals. However, these are observational data based on subgroup analyses and there were insufficient trials that directly compared these different modes of delivery or doses of exercise to comment on these. Duration of exercise is perhaps another question that people will wonder about. In the trials themselves, the duration of most of the exercise programmes was 12 weeks or over and nearly a third lasted a year or more. However, in terms of the individual the exercise has to be continued to be effective. The review authors propose such exercise should be part of “life-long exercise to maximise physical functioning in older age”. It seems never too early to start. Where does this leave my mother? 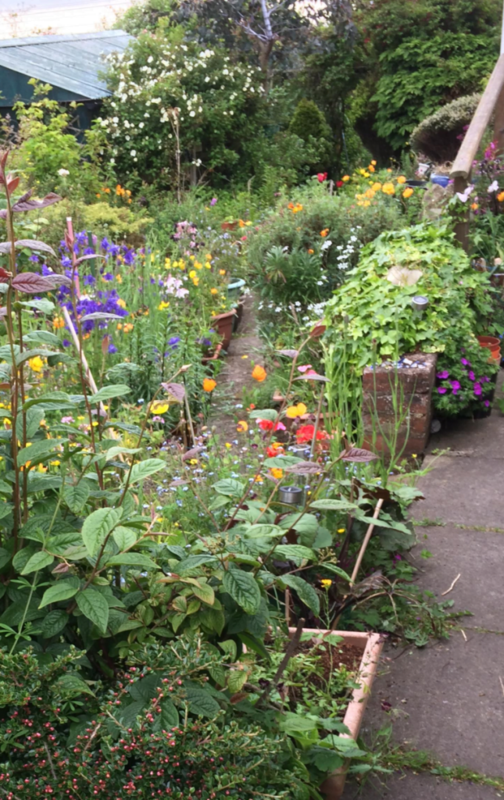 We chatted over this when she sent me some photos of her garden. She told me that after her last fall, the physiotherapist had shown her a few more exercises to add to those she does every day. However, some proved impossible to do and after several attempts, she and the physiotherapist had sat down on the bench laughing. 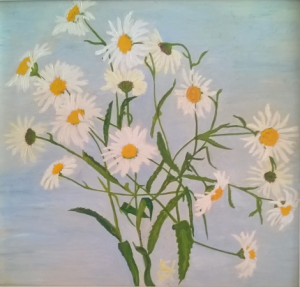 Which seems to me a success in its own way and moreover is an excuse to insert a painting of hers, renamed for the occasion. Join in the conversation on Twitter with @CochraneBJMT @CochraneUK or leave a comment on the blog. Editorial oversight of this review was conducted by the Cochrane Bone, Joint and Muscle Trauma Group and the Cochrane Fast-Track Service. The review received additional funding support from the National Institute for Health Research (NIHR Cochrane Reviews of NICE Priority scheme, project reference: NIHR127512) for additional analyses to enhance its utility for informing the imminent update of the NICE guideline on Falls in older people (https://www.nice.org.uk/guidance/cg161). The views and opinions expressed in this blog are those of the author and do not necessarily reflect those of the Systematic Reviews Programme, NIHR, NHS, the Department of Health or the authors of the review.